Roughly two dozen businesses across the Bay Area and several more around the nation on Tuesday are fighting to close the pay gap between men and women. Some of those establishments plan to offer a 20 percent discount to illustrate the roughly 20 percent pay difference between working men and women across the United States. Women on average earn about 80 cents for every dollar that men tally, according to LeanIn.org. 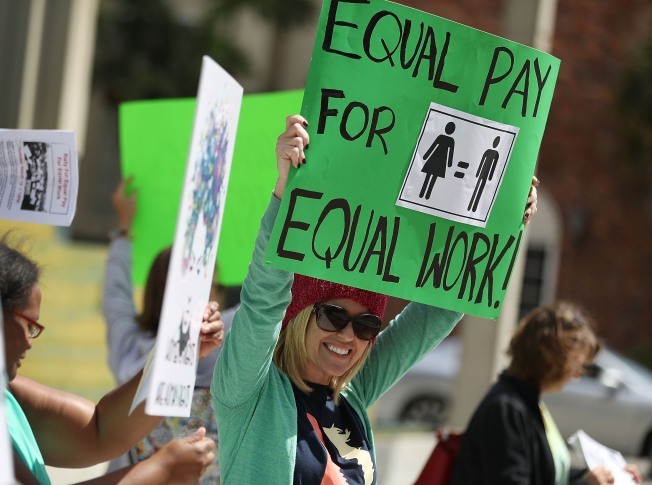 In California, women make about 86 cents for every dollar collected by men, according to an analysis conducted by the National Partnership for Women and Families. Aside from smaller local businesses around the Bay Area, Lyft and Salesforce are some of the bigger names rallying behind the wage gap effort. For example, Lyft plans to donate 20 percent of its proceeds gathered from Tuesday rides completed across 240 cities to groups that fight for women and families. Closing the wage gap could add $513 billion to the American economy, according to research from the Institute for Women's Policy Research. Individually, women could pocket $530,000 more during their careers if equal pay is achieved, according to LeanIn.org. Those funds could push 3.1 families above the poverty line and reduce hunger concerns for struggling women and their children, according to the Institute for Women's Policy Research.